It’s like stepping into the lobby of a resort hotel. You check your car at the front door and walk into human warmth in the faces of volunteers. A skilled pianist plays soft music that touches one’s spirit... For those who must visit a cancer center, the Carol G. Simon Cancer Center, each Wednesday especially, lifts hearts to a higher, more pleasurable realm, for at least that morning. Simple and unique, Music in the Atrium offers patients and their caregivers an opportunity to relax, refocus, and catch a breath or two before or after treatments, doctors’ visits, radiation — those times when anxieties run high and emotions are spiraling. Set in the lobby of the Carol G. Simon Cancer Center, Music in the Atrium presents an unexpected venue that goes beyond conventional support efforts. It is a place to meet, enjoy, connect, and share experiences. It is uplifting, smiling-producing, and simply relaxing. This award-winning program has been recognized by local and national news media for its exceptional value. In 2007, the Music in the Atrium volunteers were honored by receiving the Governors’ Volunteer Award at a ceremony in Princeton, New Jersey. 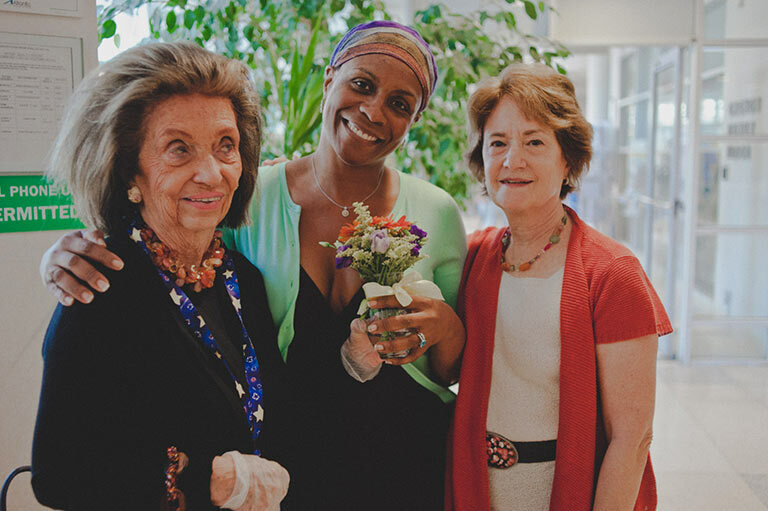 Funded by the Jeffrey Frank Wacks Music Therapy Program, Music in the Atrium was conceived by Jeanne Jaeckle, Lisa DeRosa, Judie Gerstein, and Linda Wacks, four passionate women who understood the emotional and physical effects of cancer and its treatment. Their common goal: to personalize a visit to the Cancer Center and ease the anxiety and stress that so often accompanies that visit. With the donation of a baby grand keyboard piano by the Jaeckle family, a music format emerged. Every Wednesday, visitors are greeted by specially trained volunteers who offer light refreshments, warm smiles, and an understanding ear. Pianist Bob Egan takes requests, organizes sing-alongs, or just plays old favorites. Ron Oswanski and Chris Berger are famous for their refreshing blues and jazz when they take charge of the lobby one Wednesday each month. It was my first day of chemotherapy and I was feeling very anxious. Then I walked into the lobby of the cancer center, where music filled my ears, flowers graced the tables, and a smiling volunteer offered me refreshments. By the time I went for my treatment I was relaxed and feeling happy! 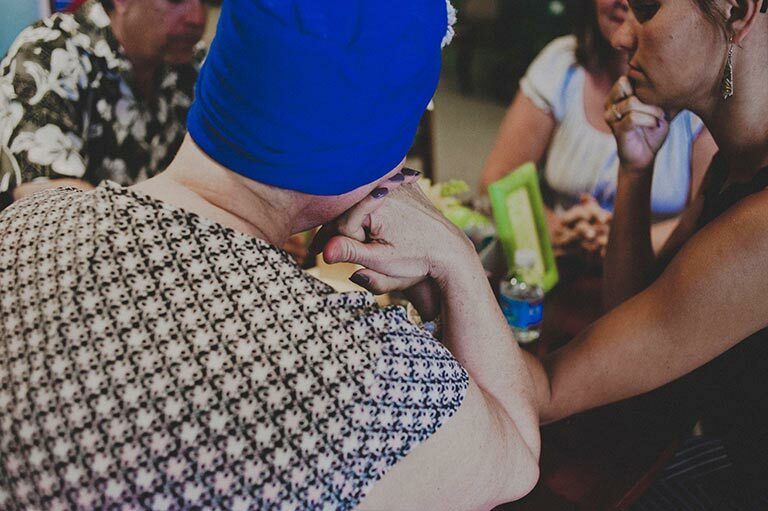 I would never have believed that visiting a cancer center could be such a special moment! © Jeffrey Frank Wacks Memorial Fund. All Rights Reserved. Jeffrey Frank Wacks Memorial Fund is a not for profit 501(c)(3) organization.